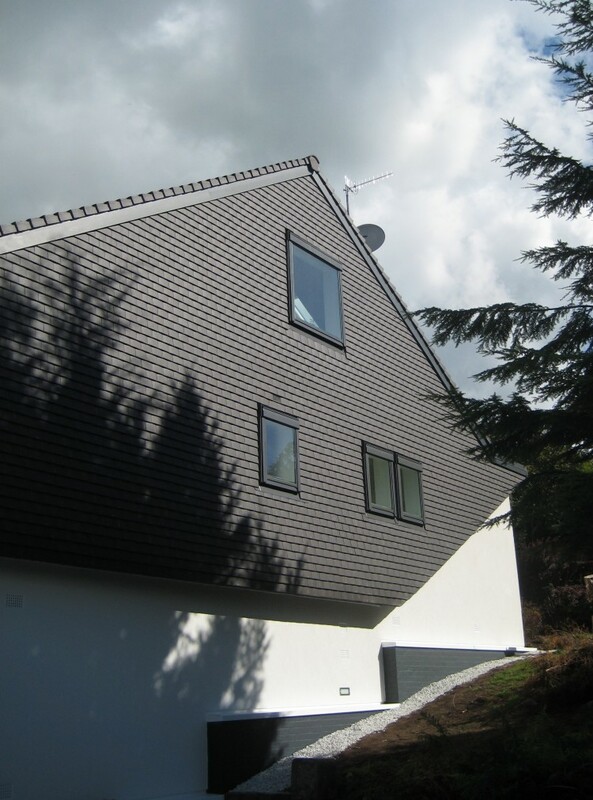 This project involved a major remodelling of a 1970s one-off house which had little insulation and significant heat losses. 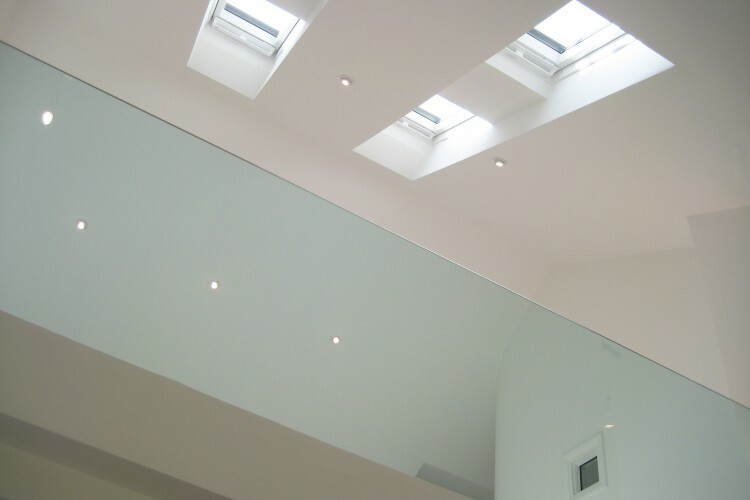 The building was stripped back to its steel frame, completely remodelled internally, re-roofed, and insulated. 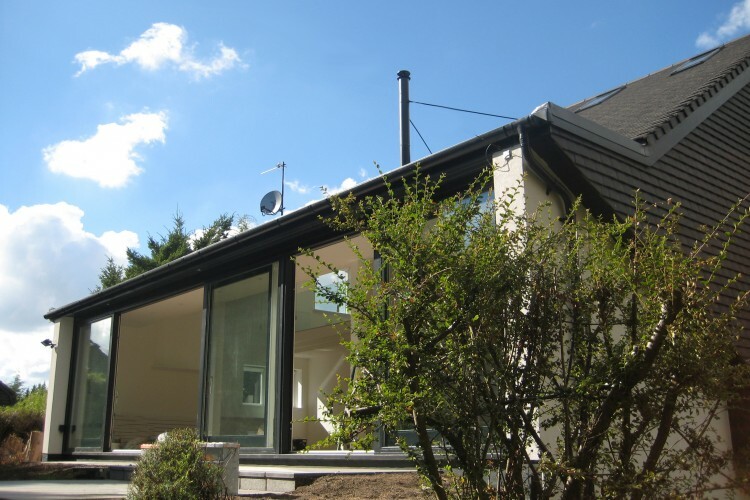 A wood-burning stove provides heating at the core of the house, supplemented by a wet radiator system. 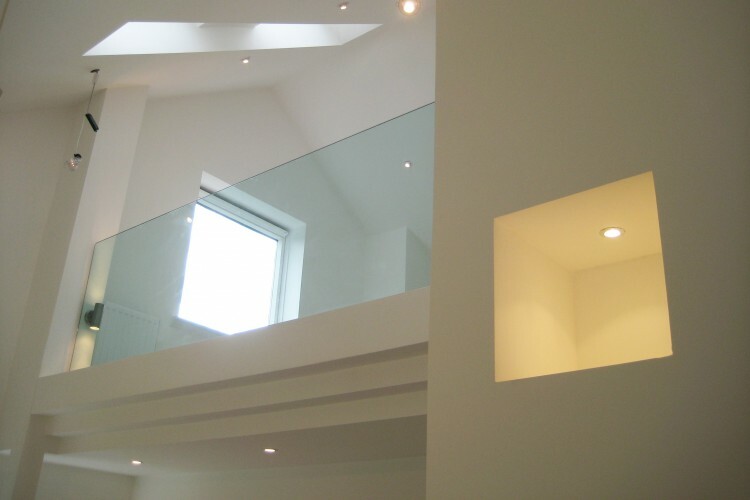 Passive cooling is provided in summer by the opening of electronic rooflights above the double-height lounge and stair, drawing cool air through the house to replace buoyant warm air. Additional floorspace was provided to the lounge and new playroom, and large sliding glazed screens provide ready access to the south-facing garden.